Now that summer is coming I’m starting to ride my bike again. So here’s one to get you inspired to ride one. Swedish poster designed by Rolf Lagerson Titled “Save Money for a Bicycle” designed approximately between 1955-1956. 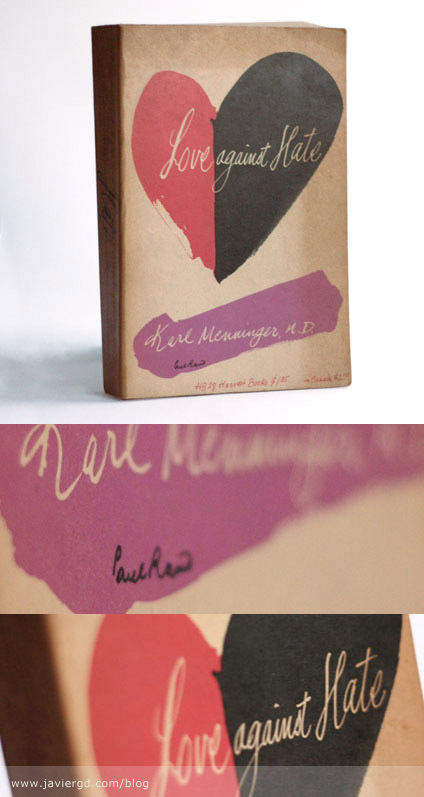 Here’s a rather aged copy of the Love against Hate book cover designed by the great master Paul Rand.